GLOVERSVILLE–Thomas W. Brown, 22, of 89 Third St., was charged with resisting arrest, seventh-degree criminal possession of a controlled substance, third-degree aggravated unlicensed operation and unlawful possession of marijuana by city police on July 20 at 8:59 a.m.
Brown was taken into custody by city police following a traffic stop on South Main Street. Officers said Brown fled on foot when the traffic stop was conducted and he was apprehended after a brief foot pursuit. During the course of investigation Brown was found to have an outstanding bench warrant issued by City Court for prior traffic offenses. A narcotic substance was also located in the vehicle Brown was operating. Brown was processed and held for arraignment. NORTHAMPTON — Joshua V. Schwartz, 33, of Wyantskill, was charged by state police on Tuesday with unlawful possession of marijuana, driving while intoxicated and having a blood-alcohol content of 0.08 percent or higher. SPECULATOR — Dakota C. Wilson, 21, of Northville was charged by state police on July 18 with fourth-degree grand larceny. 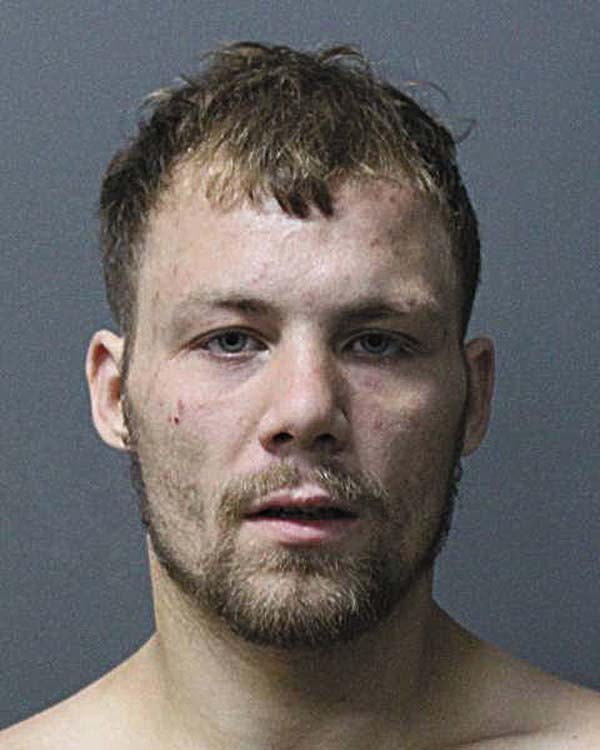 PERTH — Alejandro A. Cabrera, 27, of Johnstown was charged by state police on Wednesday with two felonies –third-degree grand larceny and first-degree falsifying business records for an incident which occurred on July 3. AMSTERDAM — Matthew N. Mundo, 24, of Schenectady, was charged by state police on Wednesday with unlawful possession of marijuana. PERTH — Amber M. Burke, 29, of Clifton Park was charged with second-degree grand larceny for an incident which occurred on July 17. She was arraigned and remanded to Fulton County Correctional Facility. Burke was released on Thursday on bail. GLOVERSVILLE–Jordan T. Bombard, 22, of 10 Woodside Ave., was taken into custody on an active arrest warrant by city police on Thursday at 1:45 a.m. The arrest warrant for Bombard was issued for falsely reporting an incident on June 6 at 3 p.m. Officers located Bombard at his residence. Bombard was transported to the station where he was processed and held for arraignment. GLOVERSVILLE–Edward J. Gallagher, 35, of Burr St., was taken into custody on an outstanding arrest warrant by city police on Wednesday at 9:32 p.m. The arrest warrant for Gallagher was issued out of City Court following an incident that occurred on July 13. Gallagher was charged with endangering the welfare of a child. Gallagher was processed and held for arraignment.